The classic view of the Three Graces on the West side of Mülheim’s Schloßbrücke. 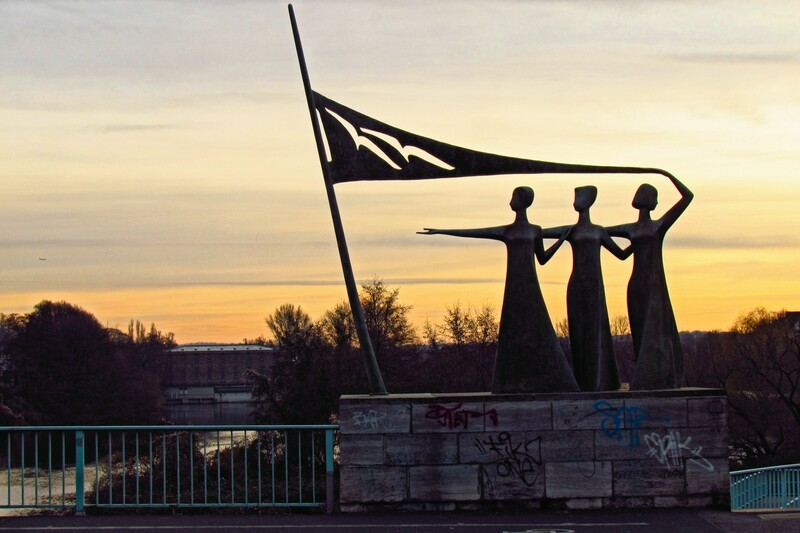 I’ve show this bronze statue a number of times before – we call it Die Drei Grazien, but it’s actually called Lebensfreude (Joy for Life) and was created by artist Heinrich Adolfs in 1963, a few of years after the current bridge was built. In the background you can see the old water power station further south.